The sole winner of the $1.5 billion Mega Millions jackpot from October 2018 has come forward and submitted a claim for the prize, officials announced. Add Lottery as an interest to stay up to date on the latest Lottery news, video, and analysis from ABC News. The winner, from South Carolina, has elected to remain anonymous and chose the cash option of a one-time payment of $877,784,124. The payout is the largest to a single winner in United States history, officials said. 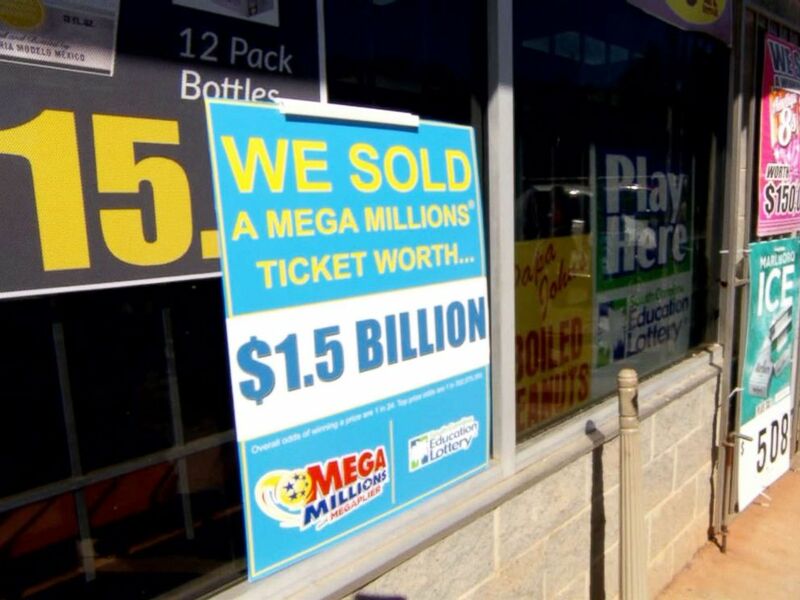 A signs stands outside a KC Mart in Simpsonville, S.C.
"We are delighted that the winner is a South Carolinian and has come forward to claim this remarkable prize," said Hogan Brown, the South Carolina Education Lottery Commission's executive director. The winning Quick Pick ticket was purchased between Oct. 20 and 23 at the KC Mart in Simpsonville, South Carolina, a suburb of Greenville with a population of about 22,000. The winning numbers 5-28-62-65-70, and Mega Ball 5 were drawn on Oct. 23. "Finally somebody claimed the ticket. Good for him, good for me," the store's owner, C.J. Patel, told ABC News on Monday. Patel stands to make a $50,000 commission for selling the winning ticket. He said that after taxes, he stands to collect $25,000 to $30,000. Mart C.J. 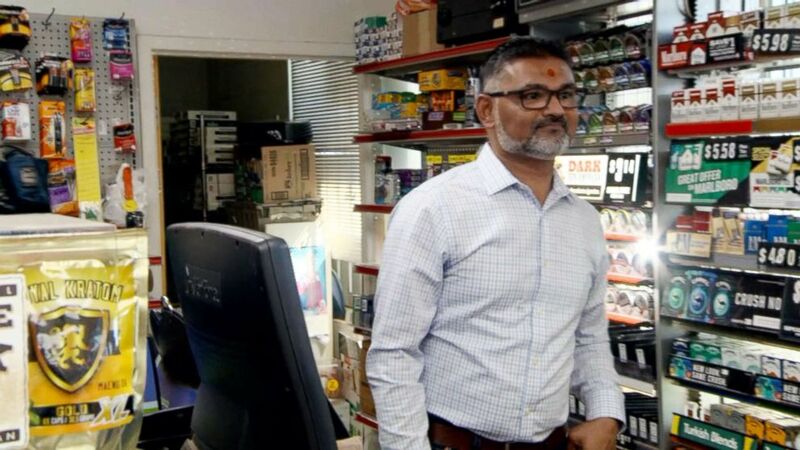 Patel, who stands to get a $50,000 commission for selling the winning ticket speaks to the media at his store. "It's already spent," said Patel, adding that he has spent the windfall on bills. The winner has chosen to remain anonymous and has hired Jason Kurland, a lawyer from East Meadow, New York, to represent him or her and speak on their behalf. Kurland was traveling internationally and was unavailable for comment Tuesday. "We appreciate the privacy of our winners," Tony Cooper, chief operating officer of the South Carolina Education Lottery, told reporters on Tuesday. "For a lot of reasons, a lot of people will legitimately not want to be identified." Cooper said South Carolina has been participating in the Mega Millions drawing for eight years. "This is the first time in eight years that South Carolina has had a Mega Millions winner," Cooper said. "So, that's why there was excitement here." 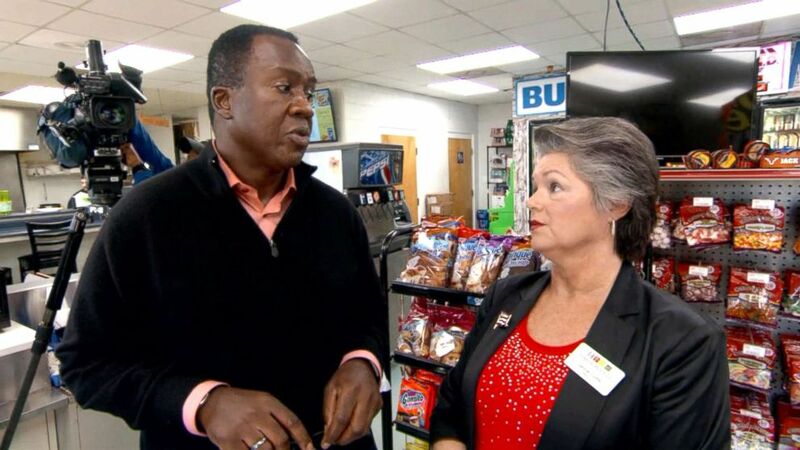 Janice Curtis, the mayor of Simpsonville, S.C. speaks about the possible lottery winner. Before the winning player came forward to claim the prize, about four months after they purchased the ticket, locals in Simpsonville had speculated that the person had either died, lost the ticket or even accidentally put it in a washing machine. The winner had until 5 p.m. on April 19 to come forward with the winning ticket. Now the guessing game is on about the identity of the winner. Simpsonville Mayor Janice Curtis said the odds-on favorite bet is that it's a single winner who lives in Simpsonville and works at one of the light-industrial assembly plants in the town, which includes BMW, General Electric and the ZF automotive transmission plant. "I think it's great that someone works in that capacity and they're going to be experiencing something that only the majority of us can dream of," Curtis told ABC News. "Our entire community is absolutely thrilled for this person," Curtis said. "We rally around you when you're having bad days and we celebrate you when you're having great days, and this is a great day." Besides the commission for Patel, the South Carolina Education Lottery also stands to receive a windfall of $60 million, and at least $10 million to $15 million of that will go to education in the state, Cooper said.